Happy Monday! The holidays are upon us. If you haven’t already attended or hosted a holiday party this year, I’m sure you have one in the coming weeks. As you visit (or host) friends and family, remember to spread the spirit of the season. 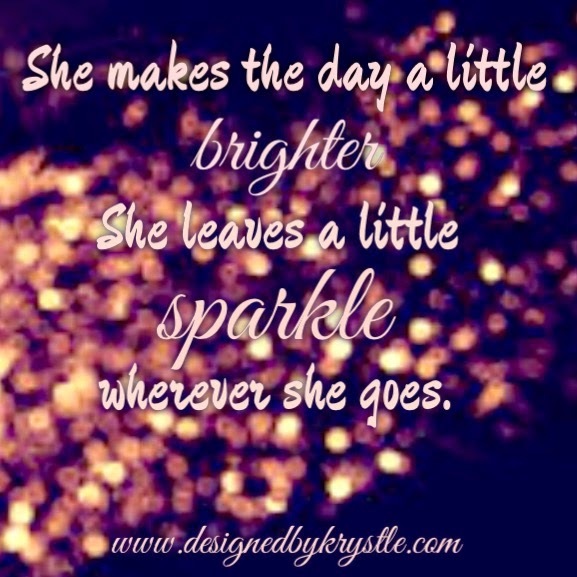 Spread a little shine and leave a little sparkle wherever you go. Our annual holiday party is this weekend, and it is the first one in our condo. I had been stressing about having company and getting our space ready, but then I realized that the season isn’t about stressing. It isn’t about having a perfectly trimmed tree and the most amazing holiday decor. It is about good people, good food and drinks, and just being together to celebrate the season and make some warm memories. This year we are keeping the decor simple and the food even simpler and just gearing up for a good time. I can’t wait to share some images of our party with you next week. Until then, remember to breathe and focus on what this season is all about!